After watching Vegtar’s debunking masterclass, the question must be asked. Is poverty and stagnation better for the environment than prosperity and growth? 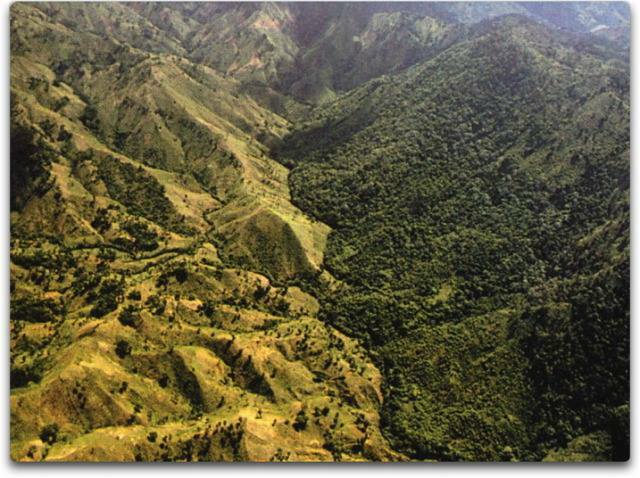 Take the border between Haiti and the Dominican Republic: Guess which country contains eco-criminals that can afford to use fossil fuels, and which country contains nature-lovers who are dependent on natural renewable organic biomass for energy ? The best example of this is the border between Haiti and the Dominican Republic (See pic above). Haiti is almost 99% deforested, as they rely totally on wood for domestic and industrial fuel. On the other side, the forests of the fossil fuel burning, eco-terrorists – the Dominican Republic, remain lush and green. The greatest driver of environmental health is economic prosperity. If you want a healthy environment, you need a healthy economy first.